Juan Pina was Vice-President of the Liberal International for Spain’s CDSParty from 1997 to 2002. For five years, he was editor of Perfiles Liberalesmonthly classic liberal magazine sponsored by the Friedrich Naumann Foundation and distributed throughout Latin America and Spain. With abackground in political science and corporate communication, Juan has beendirector for international projects at Dircom, Spain’s main industry body inthe field of business communication, and he has also been head ofCorporate Communication at several companies. 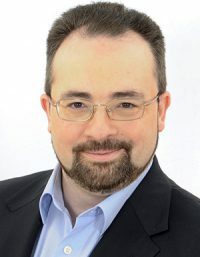 In 2009 he was one of thefounders of Spain’s Libertarian Party, and he presided over it until 2016.Since then he is secretary-general of Spain’s Foundation for theAdvancement of Liberty, and as such he is in charge of the Foundation-incubated Unión de Contribuyentes (UC, Taxpayers Union).